Well, this week we’ve been talking about hell, and free speech (no, they’re not the same thing) and a bit about being saved. So we’ll continue with the theme, as usual. Here’s Jess on the central theme, and as always the comment stream is also good. Nor was, or is it. It set me to thinking of whether I was not making heavy weather of something quite straightforward, but then I thought no, because we have been discussing some of the points which came to Christians after they had received Christ, not before, so in that sense, we are all at a later stage of the discussion. I was not sure whether Bosco or my friend Helen would appreciate that, because I was not sure that although we are speaking the same language, we are using it in the same way. Helen certainly seemed convinced that having received Jesus as her personal Saviour she was ‘saved’. When I asked what she meant, she said it meant she was going to Heaven when she died. She asked what I meant. I want to share that answer with the community here. I said that yes, I was saved. I had received Jesus and declared my faith in Him as my Redeemer; He had died for my sins, and I owned Him as Lord, so I partook of that once and for all act of atonement (it is here I felt most as though I was not quite on secure ground, so do feel free to help 🙂 ). I was, I said, ‘a new creation’ in Him. I am being saved, by holding fast in Him, and. being justified by His blood, I hoped to be saved from the wrath to come. It seemed to me that unless one read the first passage from 2 Corinthians, in the light of the other two passages (links above) you got a one-dimensional account of what salvation was. For example, if you were ‘saved’ did that mean you could do nothing sinful (one ancient heresy) or did it mean (an even worse one) that nothing you did could be seen as sinful. Or did it mean that if we did something wrong after receiving the Lord, you ‘lost’ your salvation and could never regain it? But if that was the case, why should anyone bother to regret a sin and try to make themselves right with Christ again? That seemed, I said, a real obstacle in the way of a repentant sinner. Indeed, it reminded me of the Emperor Constantine, who only became a Christian at the end of his life in case he did anything wrong after baptism. It also seemed to me a very individualistic doctrine of salvation which made little sense of the words of Christ and the Apostles about a church and a community of believers being the Body of Christ. There was, it seemed to me, a difference between an assurance of salvation – that is the hope, and a certainty – after all, if one had the latter, what the point of a Last Judgement. For me, and for Catholic and Orthodox, salvation is a dynamic process, not a one-off. Only St Luke carries the account of the conversation of Our Lord on the Cross with the two thieves. We know from his prologue that Luke collected information from many eye-witnesses. He is the only Gospel which contains accounts of Our Lady’s reaction to the news that she would bear the Saviour of the World, and it does not seem too fanciful to imagine that it was from the same source that this account of the last words of the Lord came. One of them was the voice of this world. Even in his death agonies he could find nothing better to do than to mock. But the other thief, whom tradition calls ‘Dismas’, was another matter. Christ ends by telling him that he will be with Him in Paradise that day. Do we stop to wonder why, or ask questions? After all, as Dismas himself admits, he deserves his punishment – he was a thief, a robber, a breaker of the law, and he acknowledged his sins. There is the first place he sets an example we could all follow. He admits his sins. He fears God and makes a clean breast of it. There are no ifs and buts, no ‘well, you see, it was society’s fault’; no, none of that; just the confession of a man who fears God’s wrath. What else does this poor man do? He confesses Christ as Lord. Jesus is, he declares, innocent, and here Dismas bears a true witness; it is a good deed, perhaps the first for many years; but he does it. He also acknowledges who Jesus is by calling Him ‘Lord’. This confession is accompanied by an outpouring of faith, as he asks Jesus to remember him when He comes into His kingdom. Is that true of us? We call it ‘Good Friday’. The altar in my church is stripped bare, and the crucifix is covered, and we leave with the smoke from the extinguished candles filling the gloom of an English spring afternoon. With temperatures stuck next to freezing, the shivers could have a number of causes; but meditating on the Passion of Our Lord is enough. The sense of sorrow is an echo of that first Friday at Calvary, and it is hard to know, at that moment what is ‘good’ about it. But when we stop in prayer and think, we can see precisely what is good. It is the day on which all our sins are loaded on the Lamb of God, when He takes upon His shoulders your sins and mine. What wonder is this? What have we done to be so rewarded? How can this be? What wondrous love is this? Good? Yes, the best news mankind ever had or ever will have. Whatever confessional allegiances divide us, I like to feel on this day of all days, the Cross of Christ unites us. I leave it to all the clever men to explain what in my heart I know is simple. Christ loves me. He loves us all. He did what He did, He suffered what He suffered willingly. He knew if would be terrible, and He would have preferred it if it had been otherwise; but that makes it all the more precious. The American expression ‘when the rubber hits the road’ comes to mind. This is where our salvation was earned, and not by us. With every nail that was hammered in, as with every stripe He bore for us, we are being saved. If we find those sufferings horrible, we should know that is how God finds our sins; God did something about it – what are we doing? It was through the breaking of that body on the Cross, and the spilling of that blood that we see what He meant on the evening of the Last Supper. His Body was broken for us; His blood spilled for us. Some of us believe that at the Eucharist we receive His Body and Blood as He said; others that it is in memory of Him. Well, Good Friday is no time to rehearse what divides us – yet more stripes we apply to His back. It is a time for prayer and contemplation. Mine is that for all of us, the Spirit of Christ may be with us this Easter, and that we may know Him as Lord, and worship Him and be thankful for what He has done for us. What did we do to earn it? Nothing. What can we do to be worthy of it? Just heed His call to repent and follow Him in belief that He is the Christ. In the shadow of the Cross we kneel and pray and give thanks – we are redeemed through His suffering. As the ancient hymn has it, let all mortal flesh keep silent. He has saved us. It is Good Friday – be sad and yet rejoice. There they had been, camping out as they usually did. We don’t get much of a sense of the daily life of Jesus as He and His disciples tramped the roads of Judea, but the Gospel narratives give us some insight. They settled down for the night in Gethsemane. They’d had a good evening, and only one person at that supper knew why Judas had left early. We get a sense of companionship, and we can grasp something of the feeling of love which Jesus inspired in those close to Him. They were calm and rested, so much so that when Jesus asked them to watch with Him, they fell asleep. Like us all, they had no idea that the their world was about to be torn apart – and that the world and history would be changed forever. How small a series of events came together that evening as they camped in Gethsemane. The Jewish High Priest had had enough. The events of what we call Palm Sunday had warned him that the ever volatile population of Jerusalem might be roused to rebellion – and he knew what the consequences of that would be. Within a generation of the crucifixion Caiaphas’ fears had come to pass, and in AD 70 the Temple would be destroyed and thousands of Jews killed or dispersed; it is easy to dismiss Caiaphas, but he was, by his lights, doing his duty. How often do men of power think it better than one man should die than thousands suffer? Judas had clearly had enough. Though the Synoptic Gospels tell us he betrayed Jesus for silver, John gives us the clue that it was Mary’s use of expensive oil to anoint Jesus’ feet which pushed him over the edge. It might, of course, be, as John said, that he had been dipping into the till and helping himself to money, but his taking offence was clear enough evidence of what type of man he was. He was a zealot, a puritan – how dare Jesus allow people to waste oil which could have been spent to help the poor. He, Judas, knew what was right, and he had lost patience with Jesus. Simon Peter was headstrong, and didn’t always get it right. After supper, when Jesus had said He was going to wash the feet of the disciples, Peter protested and said He wouldn’t allow it. But when Jesus told him that if he didn’t, he couldn’t be with Him, Peter didn’t ask for an explanation, he told Jesus he wanted to be washed all over. Caiaphas and Judas reasoned their way through to a conclusion based on their own insights, and they saw, as we all do, only so far. Peter also reasoned his way to what seemed to him a sensible conclusion, but the love he felt for Jesus opened his heart and he saw further than he had with his intellect. Jesus warned him that he had been handed over to Satan to be ‘sifted’. 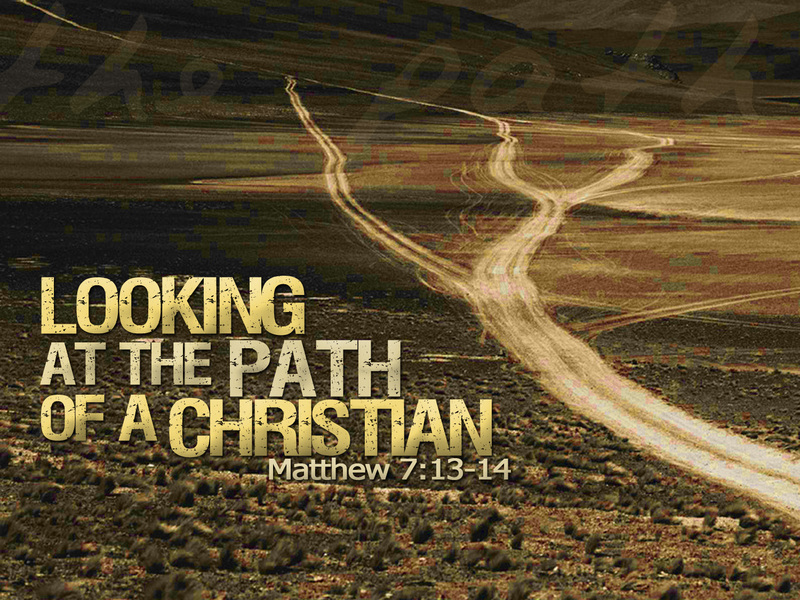 Peter declared he never would deny Jesus – but Christ knew what was coming. 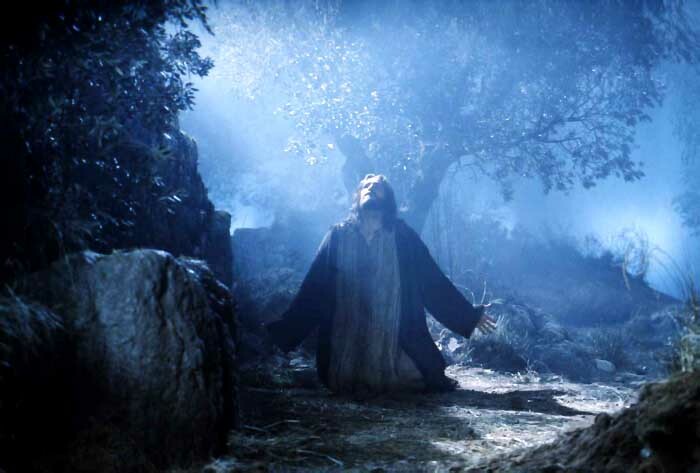 As the disciples slept and the Romans and the Jewish guard came closer, the silence of that dark night was broken only by the anguish of Jesus. His time had come. From a Sermon by Martin Luther; taken from his Church Postil. 1. This Gospel consists of two questions. In the first the lawyer on behalf of the other Pharisees asks Christ: Which is the great commandment in the law? In the second the Lord asks the Pharisees and the lawyer: Whose son is David? These two questions concern every Christian; for he who wishes to be a Christian must thoroughly understand them. First, what the law is, and the purpose it serves; and secondly, who Christ is, and what we may expect from him. 2. Christ explains here to the Pharisees the law, telling them what the sum of the whole law is, so that they are completely silenced both at his speech and his question, and know less than nothing of what the law is and who Christ is. From this it follows, that although unbelief may appear as wisdom and holiness before the world, it is nevertheless folly and unrighteousness before God, especially where the knowledge of the two questions mentioned above is wanting. For he who does not know how he stands before the law, and what he may expect from Christ, surely has not the wisdom of God, no matter how wise and prudent he may pretend to be. Let us therefore consider the first question, namely: What the law is; what it commands and how it is to be spiritually interpreted. 4. As if the Lord would say: He who possesses love to God, and love to his neighbour, has all things, and therefore fulfils the law; for the whole law and all the prophets point to these two themes, namely: how God and our neighbour are to be loved. 5. Now one may wish to ask: How can you harmonize this statement, that all things are to be comprehended in these two commandments, since there was given to the Jews circumcision and many other commandments? To answer this, let us see in the first place how Christ explains the law, namely, that it must be kept with the heart. In other words, the law must be spiritually comprehended; for he who does not lay hold of the law with the heart and with the Spirit, will certainly not fulfil it. Therefore the Lord here gives to the lawyer the ground and real substance of the law, and says that these are the greatest commandments, to love God with the heart and our neighbour as ourselves. From this it follows that he, who is not circumcised, who does not fast nor pray, is not doing it from the heart; even though he may perform external acts, he nevertheless does nothing before God, for God looketh on the heart, and not on our acts, I Sam. 16, 7. It will not profit a man at all, no matter what work he may perform, if his heart is not in it. 6. From this arises another question: Since works are of no profit to a man, why then did God give so many commandments to the Jews? To this I answer, these commandments were given to the end that we might become conscious whether we really love God with all our heart, and with all our soul, and with all our strength, and in addition our neighbour as ourselves; for St. Paul says in Rom. 7, 7 (3, 20), that the law is nothing but a consciousness and a revelation of sin. What would I know of sin, if there were no law to reveal it to me? Here now is the law that saith: Thou shalt love God with thy heart, and thy neighbour as thyself. This we fulfil if we do all that the law requires; but we are not doing it. Hence he shows us where we are lacking, and that, while we ought really to do something, we are doing nothing. 7. That the Jews had to practice circumcision was indeed a foolish ceremony, yea, a command offensive to reason, even though it were given by God still today. What service was it to God, to burden his people with this grievous commandment? What good was it to him, or what service to a neighbour? Yea, and it did not profit the Jew, who was circumcised. Why then did God give the command? In order that this commandment and law might show them whether they really loved God with all their heart, with all their soul, and with all their mind, and whether they did it willingly or not. For if there were a devout heart, it would say: I verily do not know why God gave me circumcision, inasmuch as it does not profit any one, neither God, nor me, nor my neighbour; but since it is well pleasing to God, I will nevertheless do it, even though it be considered a trifling and despised act. Hence, circumcision was an exercise of the commandment, Thou shalt love God with all thy heart. I want to break down the Great Commandment a bit because something has struck me recently. “Thou shalt love the Lord thy God with all thy heart, and with all thy soul, and with all thy mind.” strikes me as straightforward, love God as the One God, with everything you’ve got. Although, as always, we’d be well advised not to make God in our image, and that is easy enough to do. I suspect most of us are guilty of it from time to time. The problems for us as Christians comes in this part, “Thou shalt love thy neighbour as thyself“. If you love mostly yourself, it’s pretty obvious you’re going to be a selfish son of a gun, and not fit company for man or woman (or even animal). We see this all the time don’t we? Both of these are often considered as the sin of pride. But we are also commanded to love ourselves as our neighbor. this is a bit murky but, what I see here is that it is wrong to negate ourselves greatly,as well. I wonder if this is the origin of collectivism, the theory that the individual doesn’t matter, only the group. Food for thought, at any rate.